There can be few moments which have captured the imagination of historians, authors and the public like the fall of Anne Boleyn. 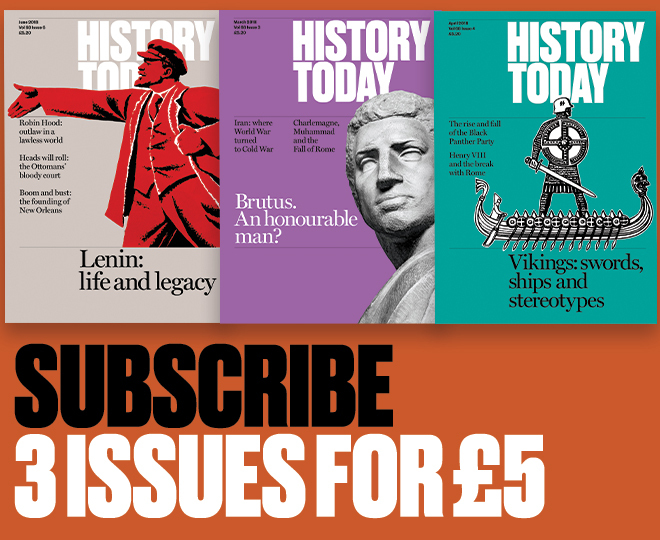 The events which led to the arrest and execution of Henry VIII’s second wife, alongside her brother and a number of courtiers, in May 1536 have been seen very differently by historians. Perhaps the most enduring recent interpretation has presented Henry’s chief minister, Thomas Cromwell, as having orchestrated an elaborate plot to remove Anne and her supporters from court. After all, Cromwell himself admitted to the Imperial Ambassador of Charles V, Eustace Chapuys, that he had ‘discovered and followed up the affair’. What has been overlooked, however, is that in the same conversation, Cromwell claimed that it was a prophecy made in Flanders ‘threatening the king with a conspiracy of those who were nearest his person’, which had ‘roused his suspicion and made him enquire into the matter’. This suggests that Anne was not simply the victim of a pre-planned attack, but rather that Cromwell undertook an investigation into Anne’s circle based on a prophetic warning of danger to the king. Prophecy was alive and well in Tudor England and discussed and given credence at the highest levels of government. Cromwell, in particular, appears to have had an active interest in prophecy. The minister was regularly sent prophecies to consider and his associate, Anthony Budgegood, recalled having had a number of serious discussions with the minister about a prophecy that had circulated in the summer of 1512. There is, therefore, no reason to doubt Cromwell when he said it was a prophecy that prompted his investigation of Anne and her circle. One possible candidate for this prophecy originated in Flanders. It was translated by Miles Coverdale and printed in London at the end of 1535 for the coming year. Coverdale was a long-time friend of Cromwell, who shared his religious views, and was the man the minister entrusted with the task of producing the definitive version of the Bible in English. Given this close relationship and Cromwell’s evident interest in prophetic works, it would seem likely that the prophecy for 1536 translated by Coverdale was, at some point, read by Cromwell. The prophecy is now an exceptionally rare text and has been confused in its listing in the hugely influential database of printed material, the English Short Title Catalogue, through which researchers might find it. Divided into seven chapters, each dealing with a different topic, such as the coming harvest or outbreaks of disease, much of the prophecy is extremely general, based upon the movement of various planets and their influence on terrestrial affairs. We might reasonably expect that, for many, including Cromwell, the section of most interest would be the chapter concerning ‘the strife and trouble of this year, and the cause therof’. This chapter contains an unusually specific prediction, which states that in 1536, in response to God having guided the righteous kings such as Henry away from the false Roman Church, Satan will do all he can ‘by the children of unbelief (especially by the shaven Madianites)’ to stir up trouble, including instigating ‘secret treason’. The use of the term ‘secret treason’ is interesting as it suggests a conspiracy behind closed doors, rather than open rebellion. There is also the indication that the children of ‘unbelief’ were a particular danger, especially the ‘shaven Madianites’. ‘Madianite’ signifies those associated with the use of incense; the ‘shaven Madianites’, therefore, are the Roman Catholic clergy. The passage reads as a warning of secret treason by those sympathetic to the traditional Roman Catholic Church. This is interesting when one considers that Anne and Cromwell were on opposite sides when it came to the seizure of wealth from the smaller monasteries, legislation which Cromwell had championed through Parliament and made law. Cromwell intended to incorporate the endowments into the king’s finances, while Anne objected to this secularisation of monastic assets. Things came to a head on April 2nd, 1536 when Anne’s distributor of alms, John Skip, gave a sermon that vilified Cromwell, comparing him to the biblical Haman, an evil vizier of King Ahasuerus from the Book of Esther. Skip went on to defend the ‘little ceremonies’ of the Church, such as the use of holy water, and warned against any attempts to alter or remove ‘any old or ancient customs or ceremonies’. Taken as a whole, Skip’s sermon was a staggeringly bold defence of the clergy and the traditional ceremonies of the Church. The parallels with the prophecy translated by Coverdale are striking. Cromwell was being opposed by a queen who stood against him on religious policy and who publicly attacked him over the possible proscription of religious ceremonies. It is possible that Cromwell, having been on the receiving end of this attack, was put in mind of the prophetic warning that supporters of religious tradition would use ‘secret treason’ to harm the king. He thought to look closely at the queen and her inner circle. 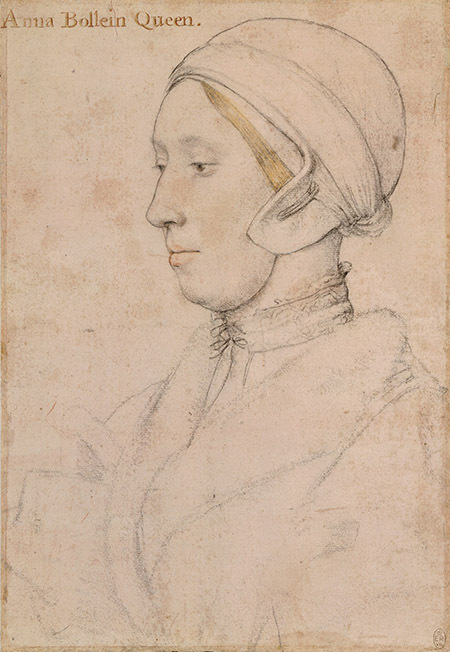 While greater attention is now given to the more lurid charges against Anne, it was the charge of conspiracy to harm the king that was the focus at the time, with Henry reportedly praising God for escaping injury and remaining in guarded seclusion until the matter was concluded. In this case, Anne’s fall was the result of an investigation that was undertaken to search out a conspiracy around the king to harm his person and that investigation was founded, as Cromwell said at the time, on a prophecy. In the frenzied atmosphere of those few days in May 1536, rumour became evidence, conversations became conspiracies and flirtations became treason, all under the cloud of a prophetic warning. As is often the case with the politics of Henry’s court, this can only be speculation. What is clear, however, is that Cromwell’s mention of prophecy needs to be taken more seriously by historians and that the wider impact of prophecy requires further investigation. Andy Holroyde is an AHRC Heritage Consortium PhD student at the University of Huddersfield.